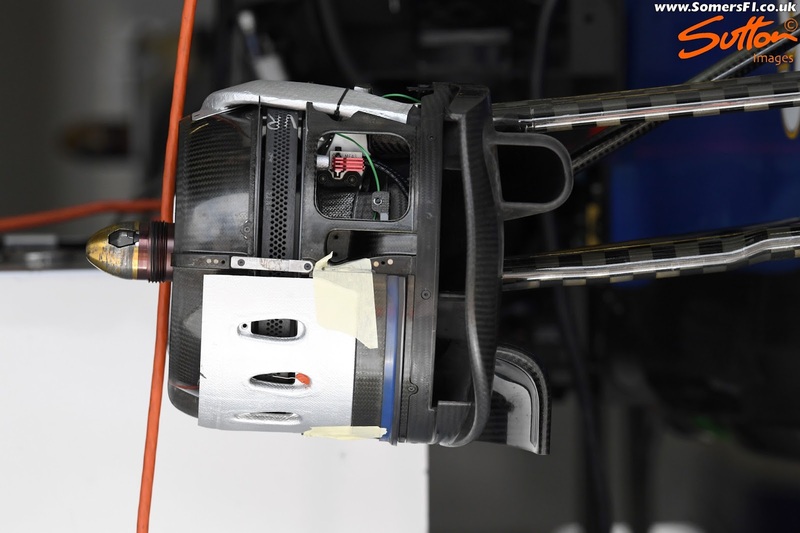 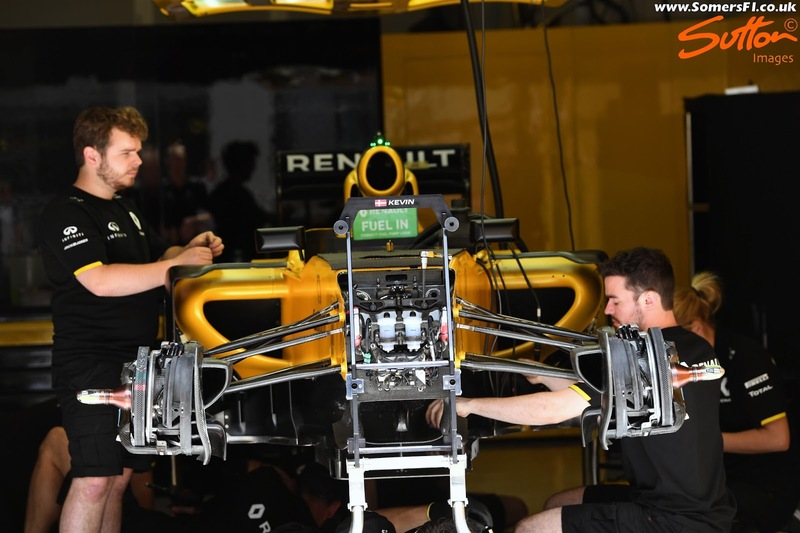 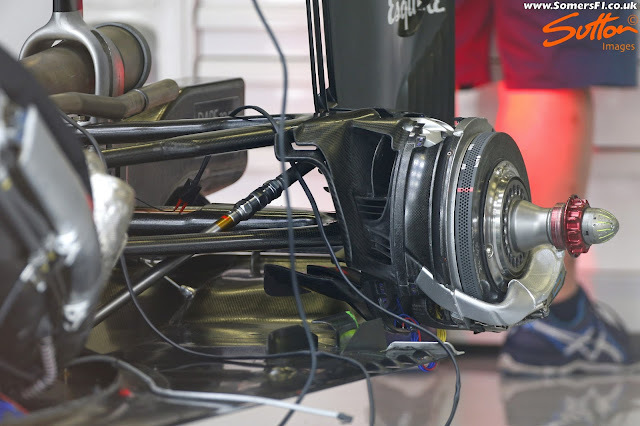 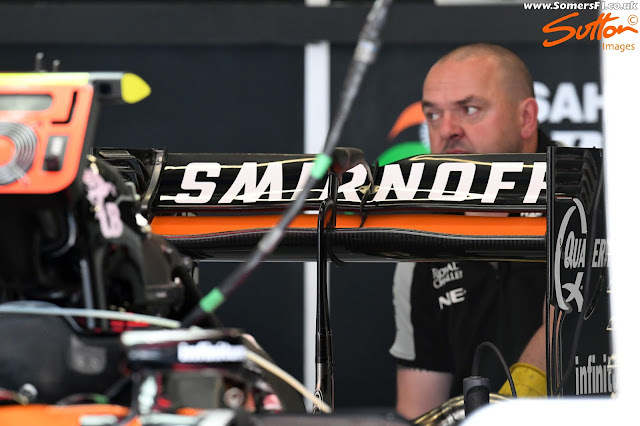 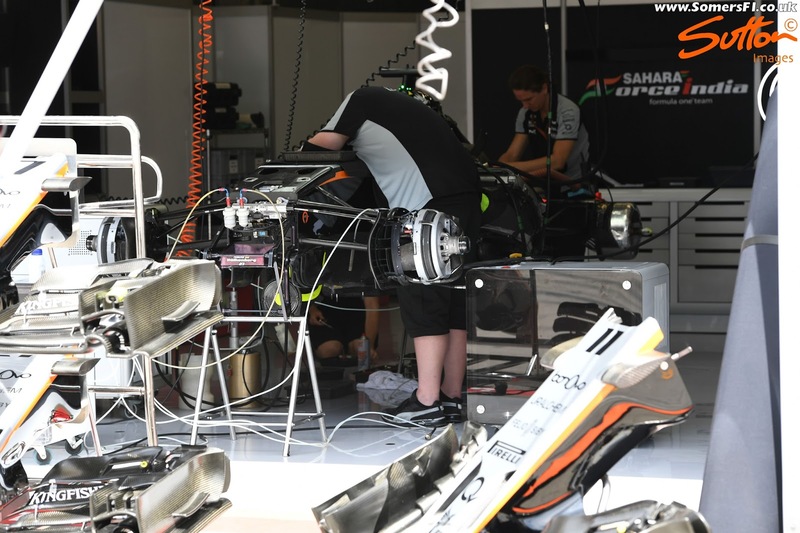 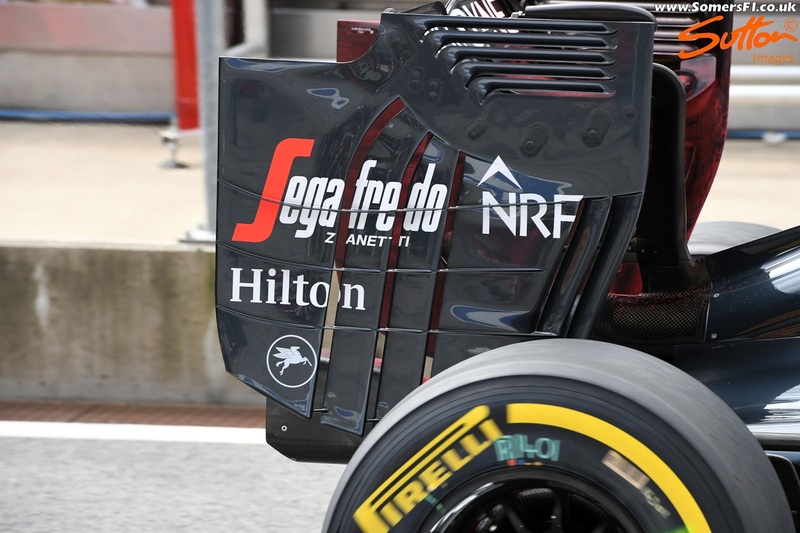 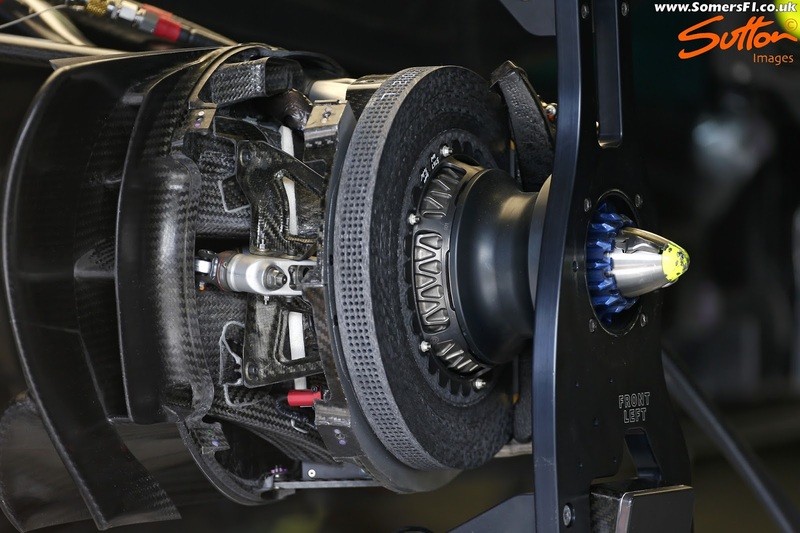 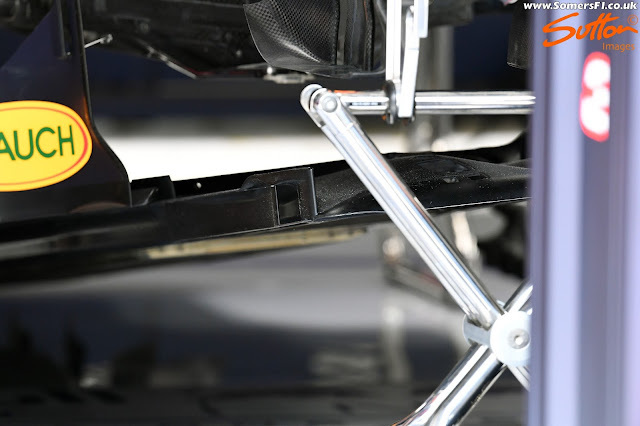 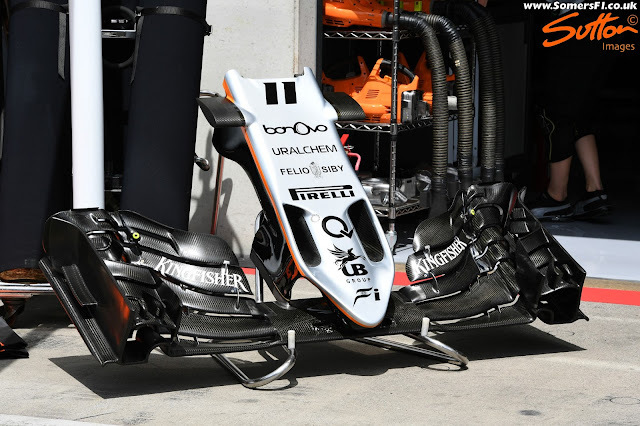 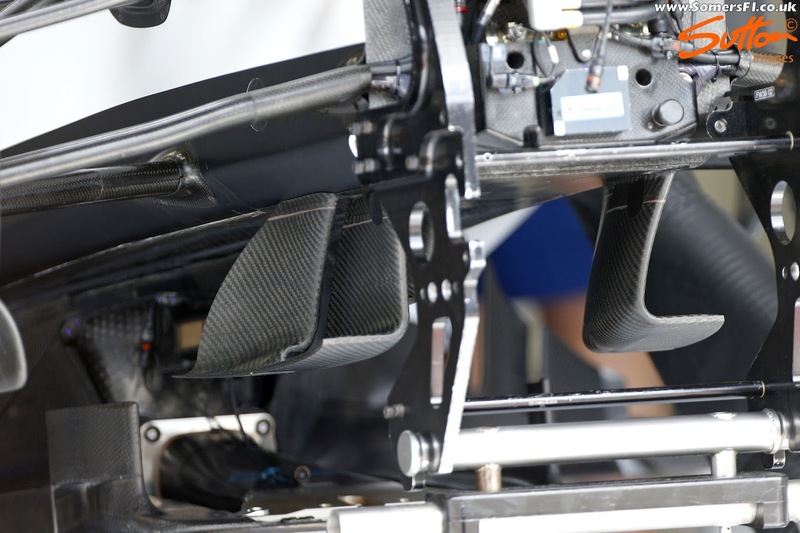 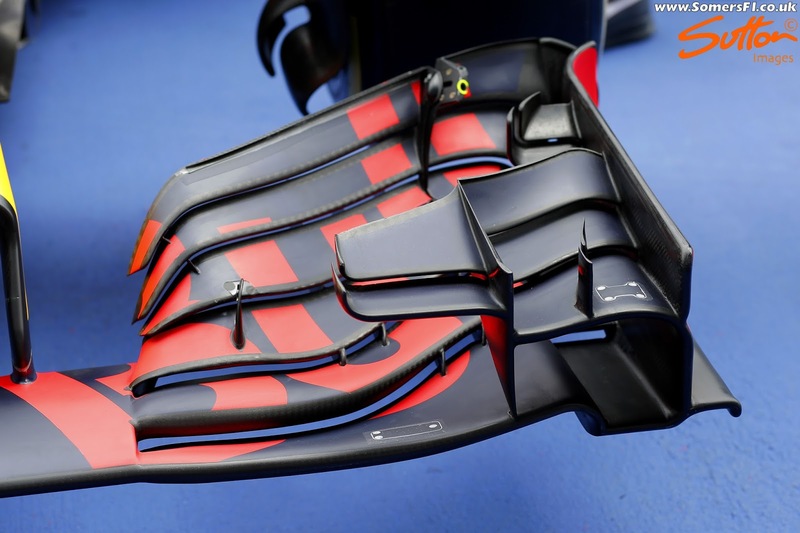 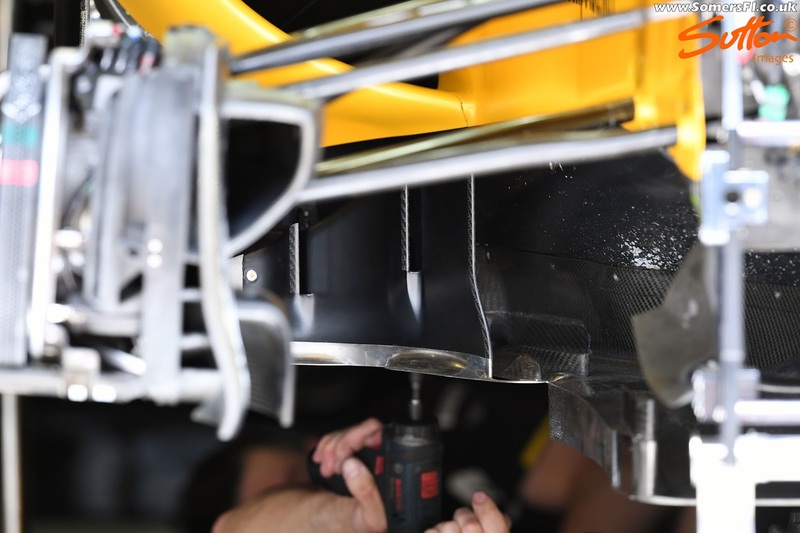 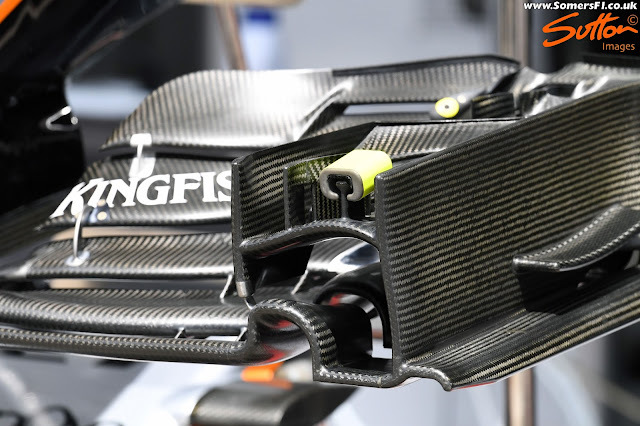 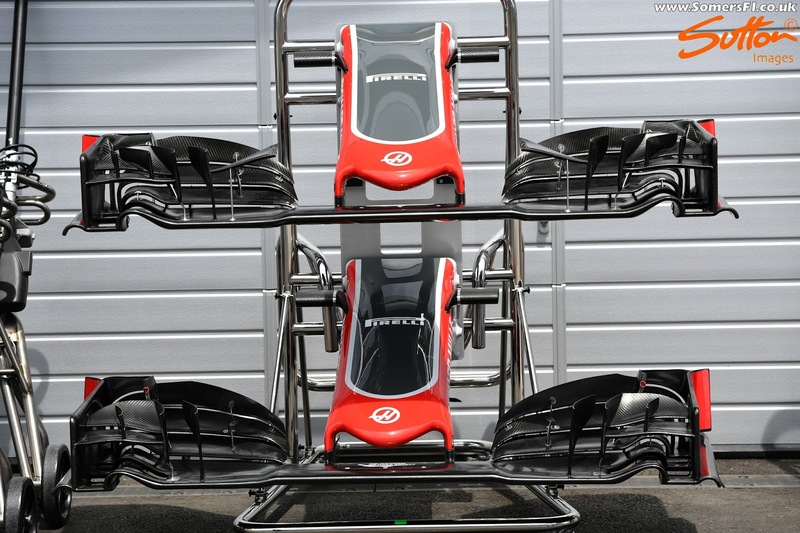 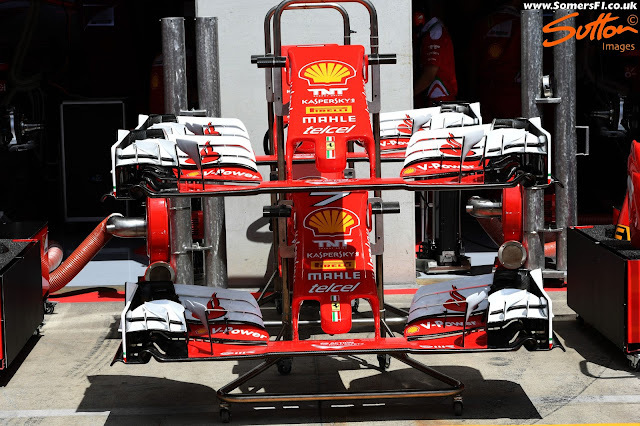 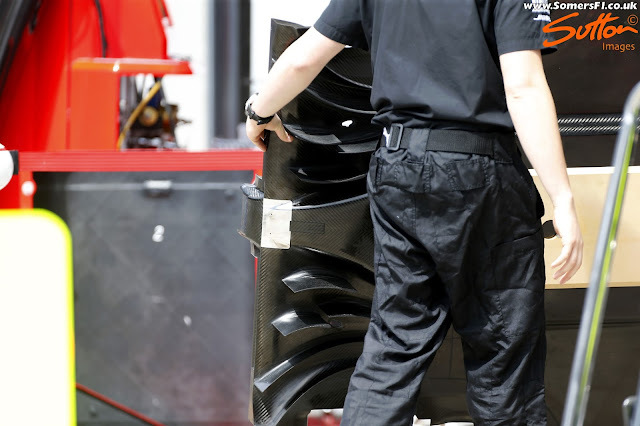 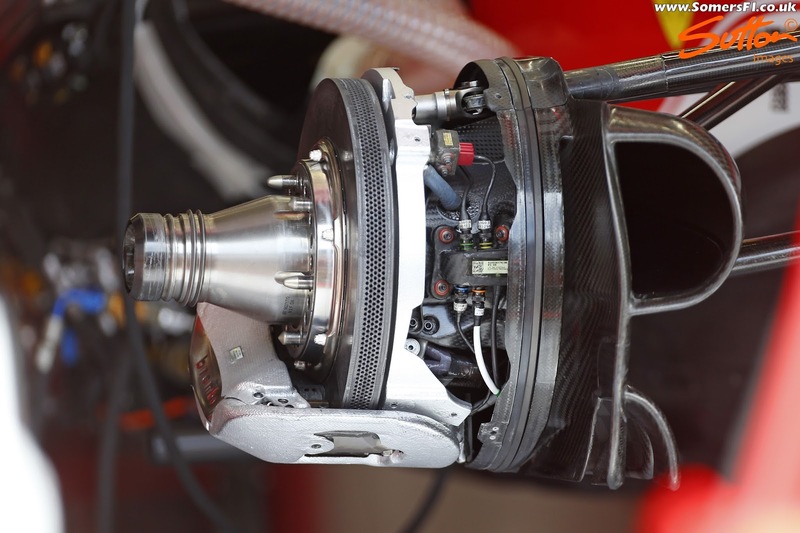 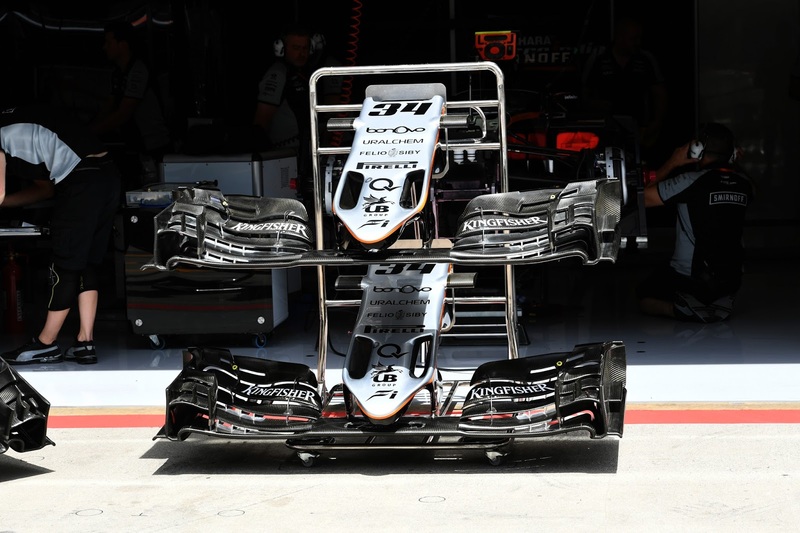 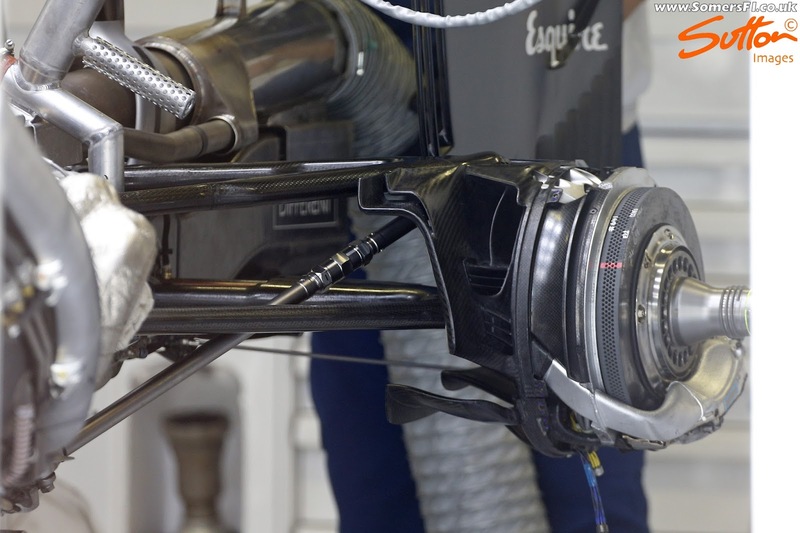 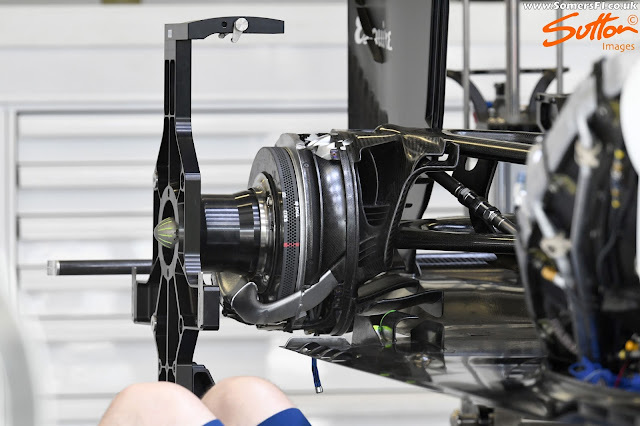 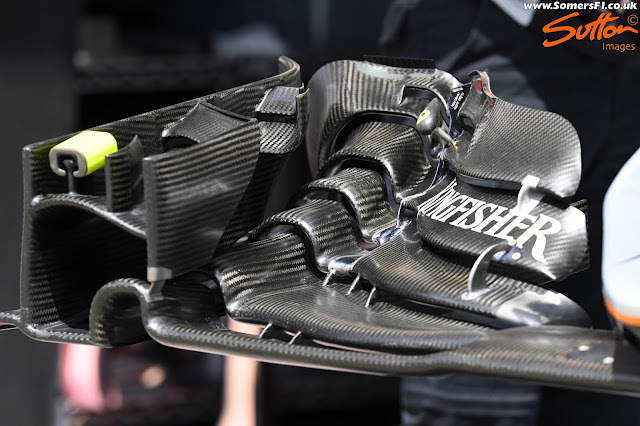 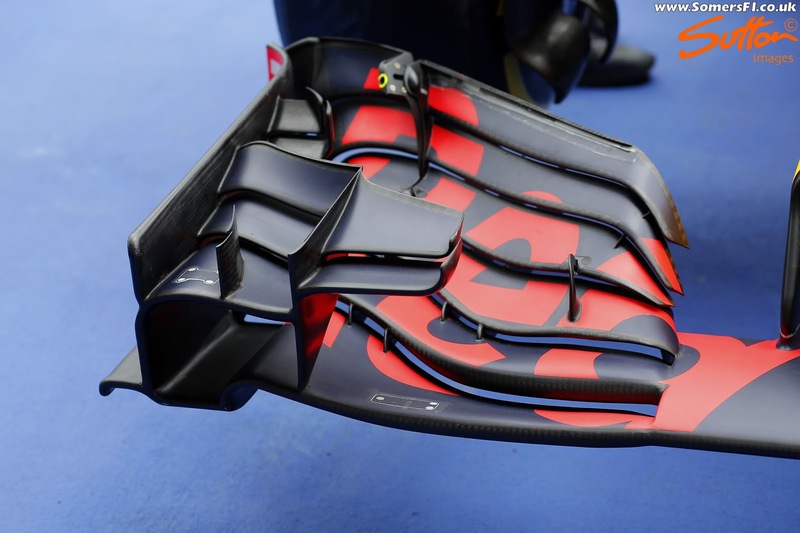 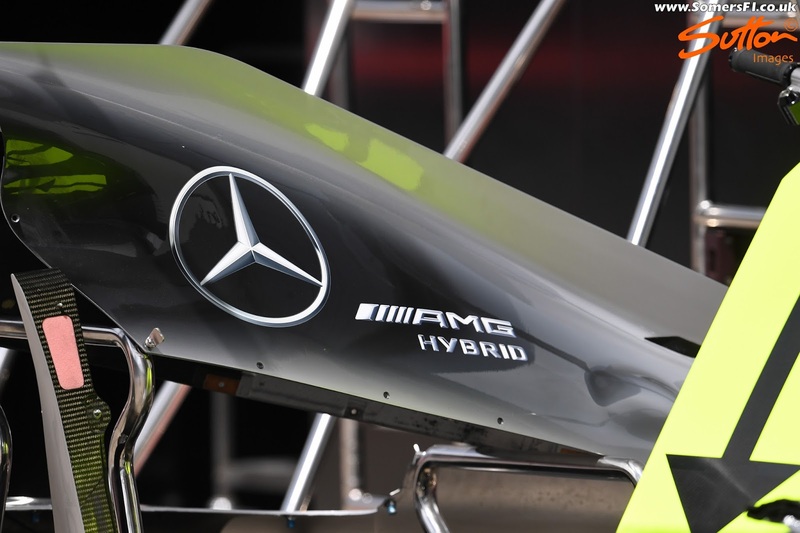 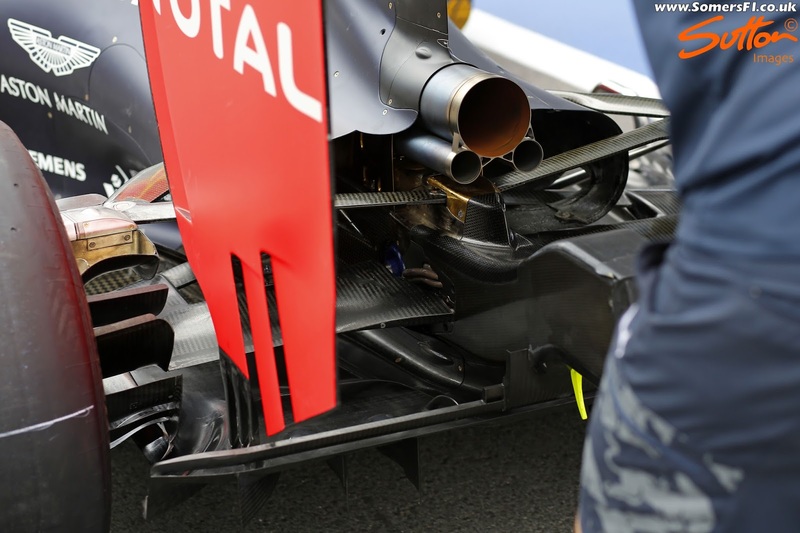 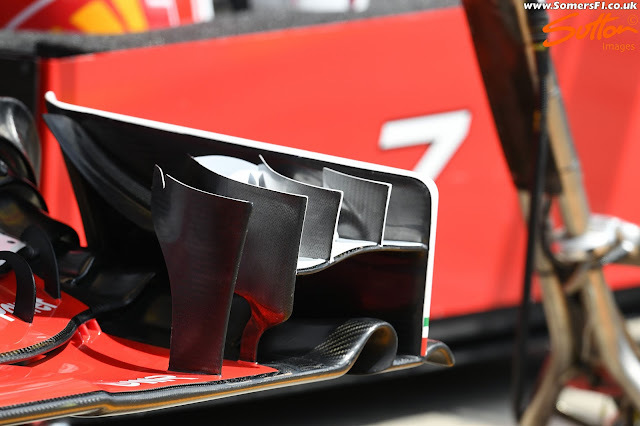 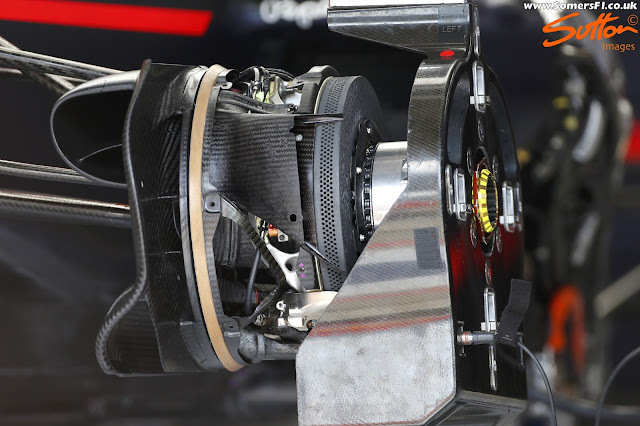 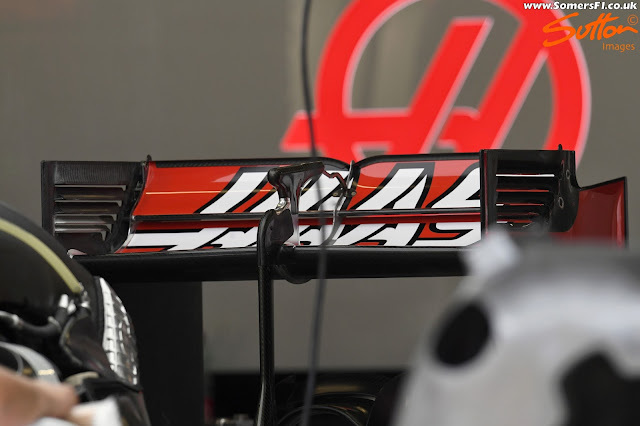 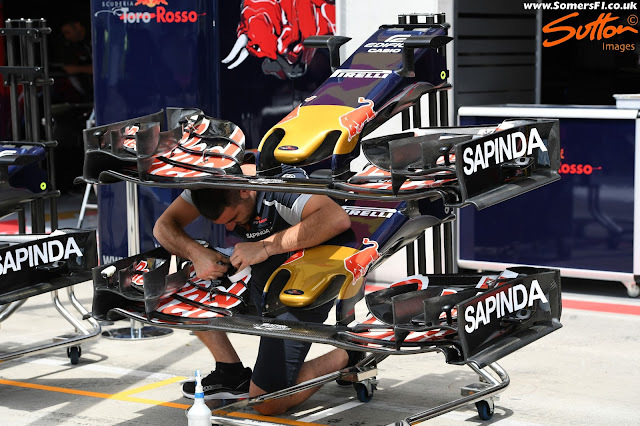 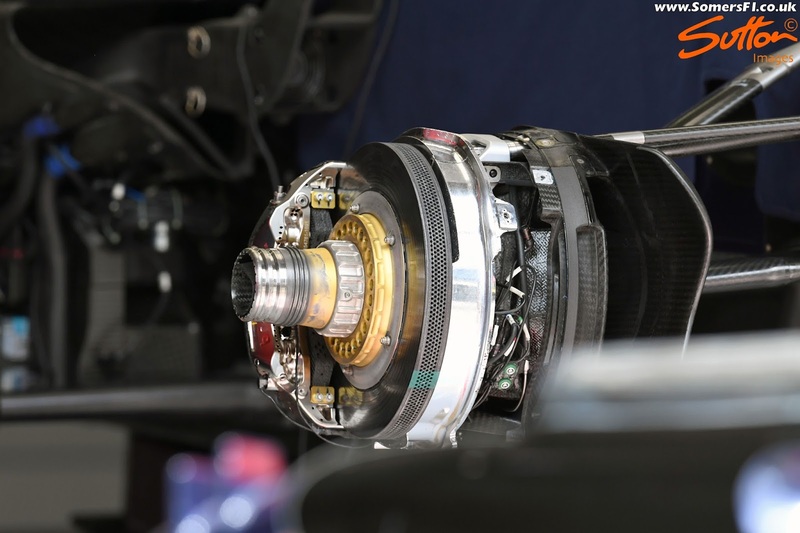 Magnificent shots of the McLaren rear wing and end plates with flo vis! 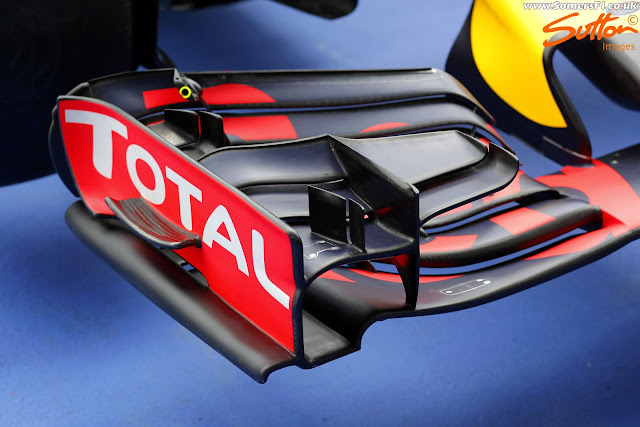 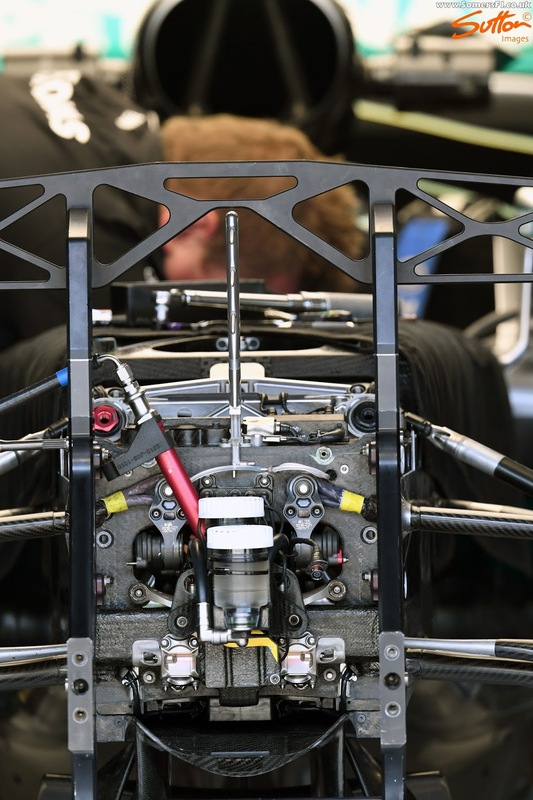 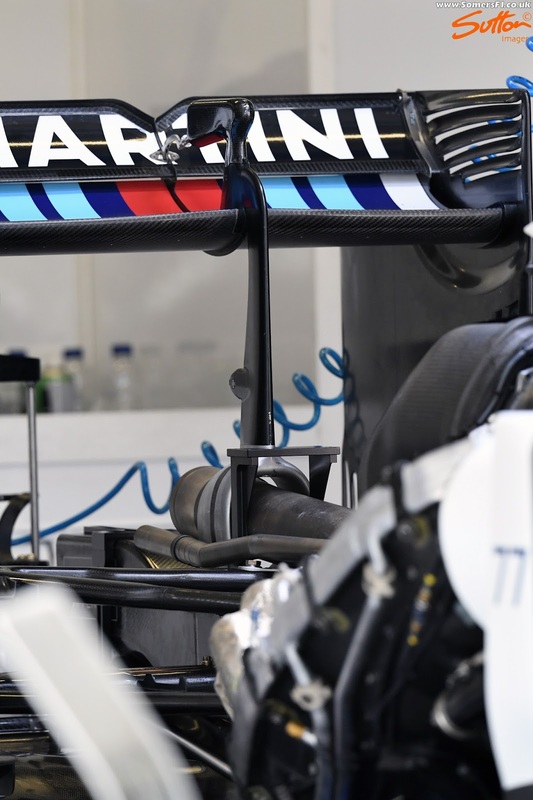 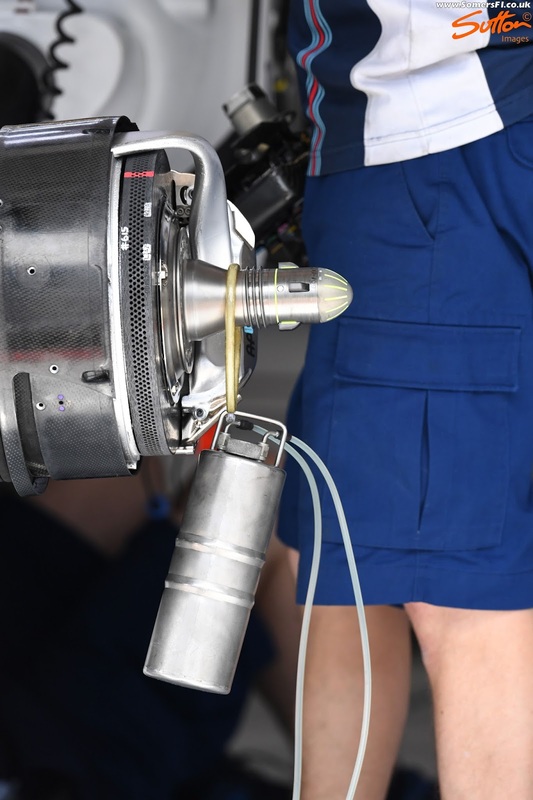 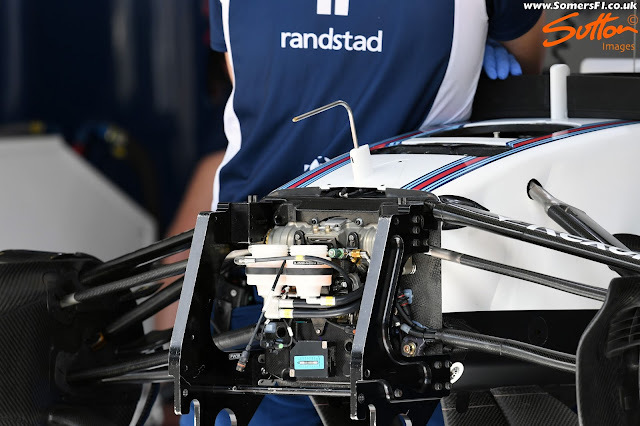 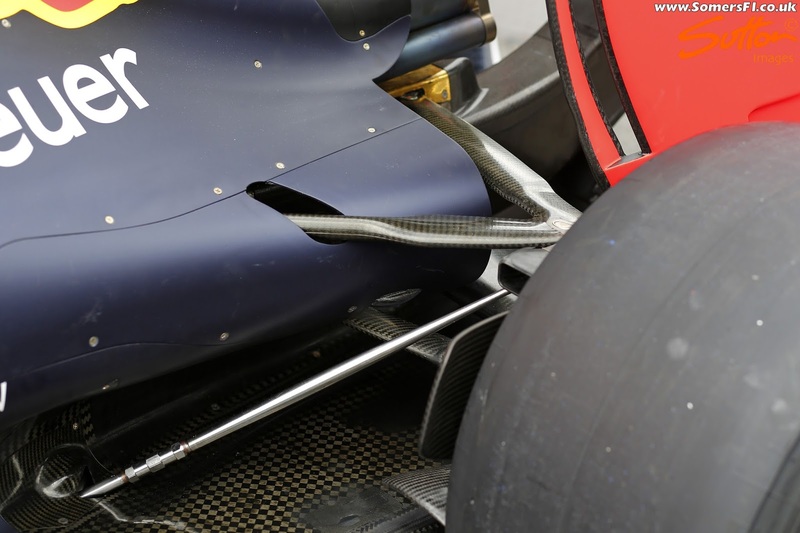 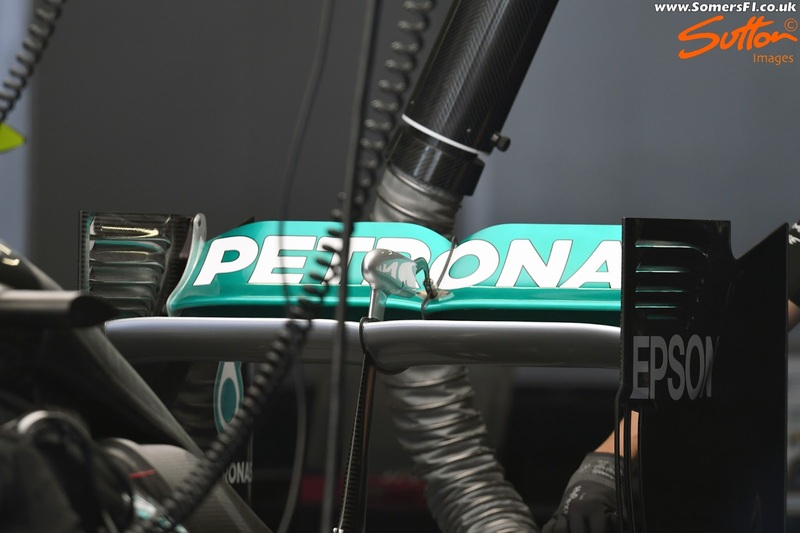 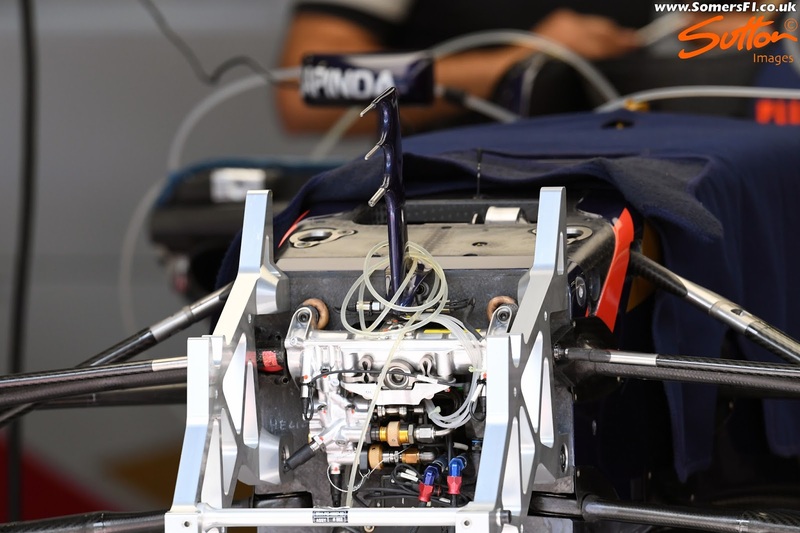 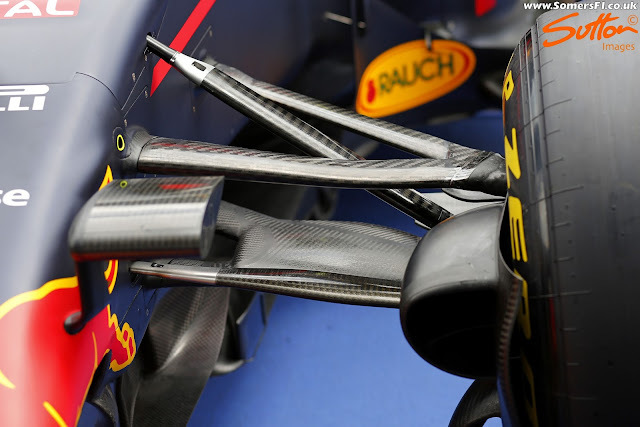 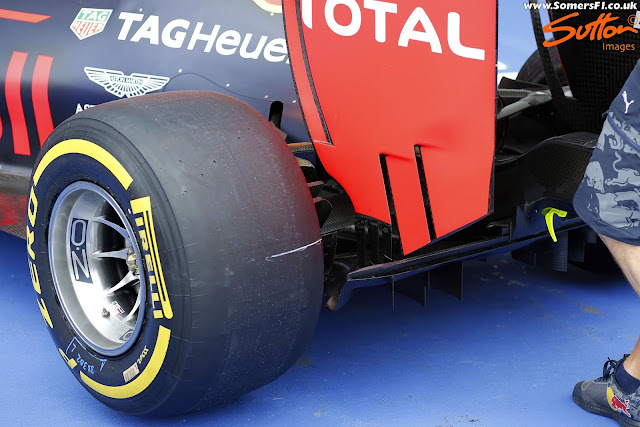 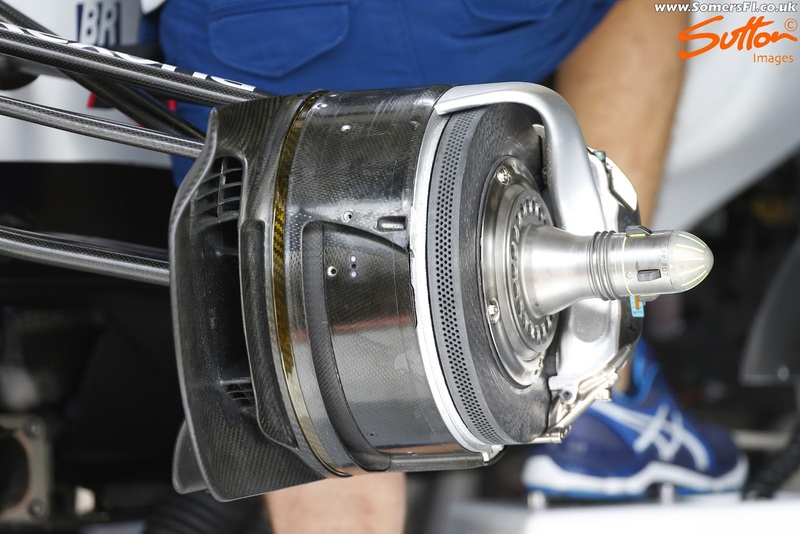 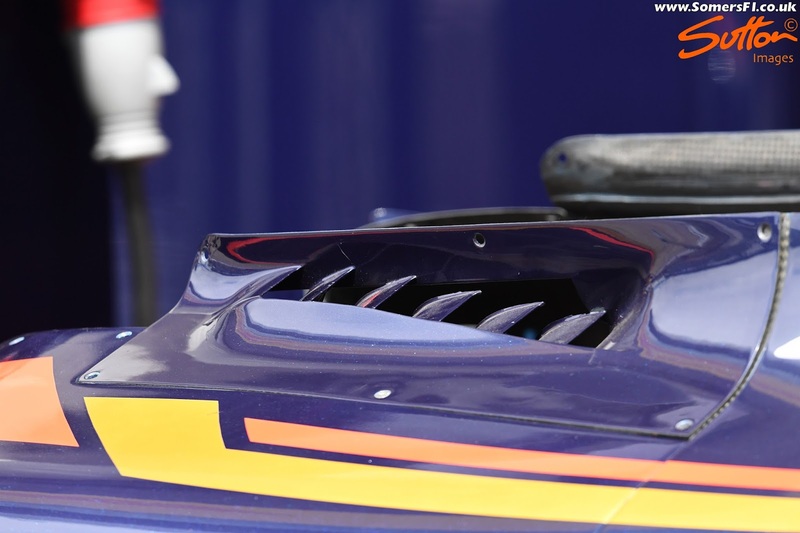 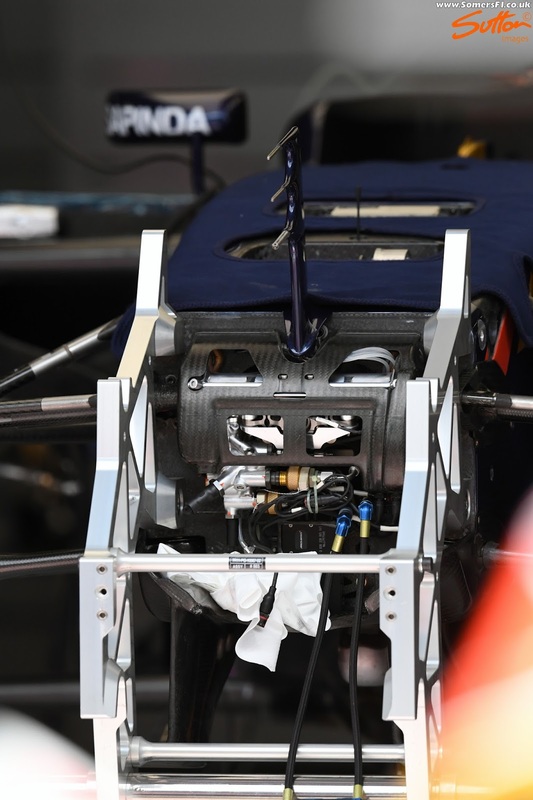 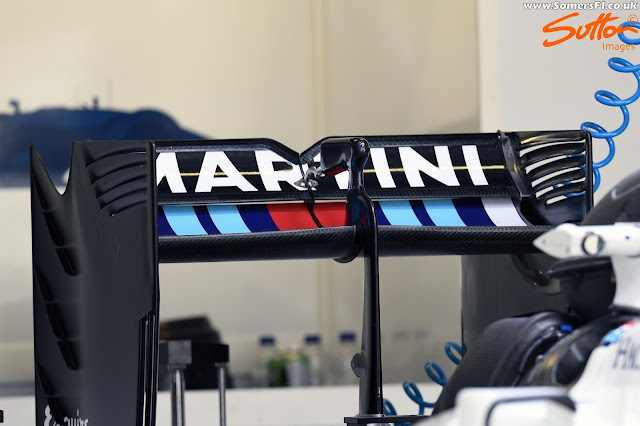 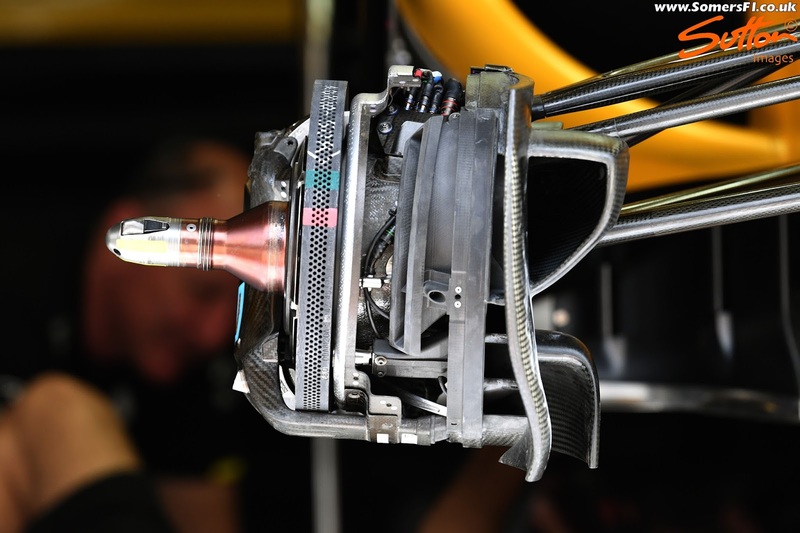 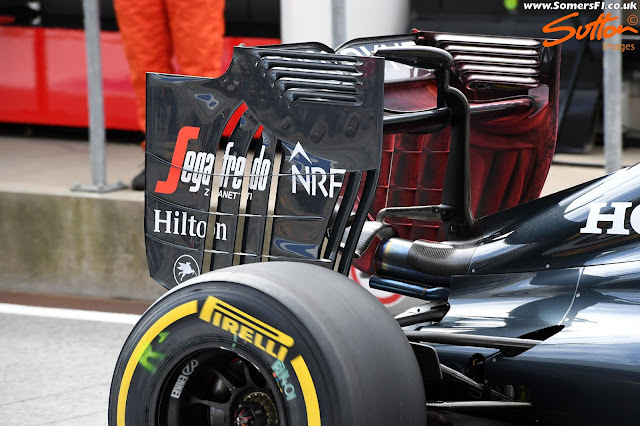 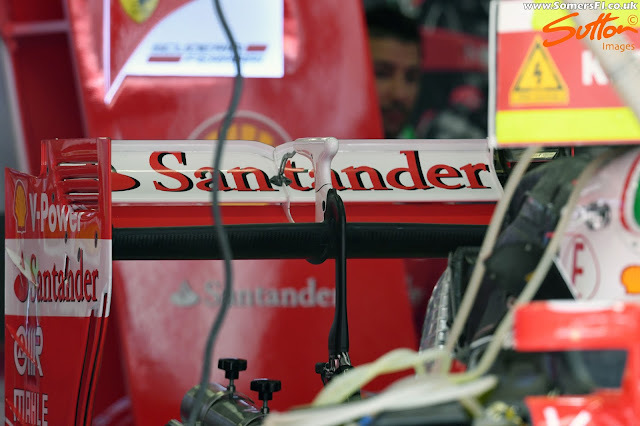 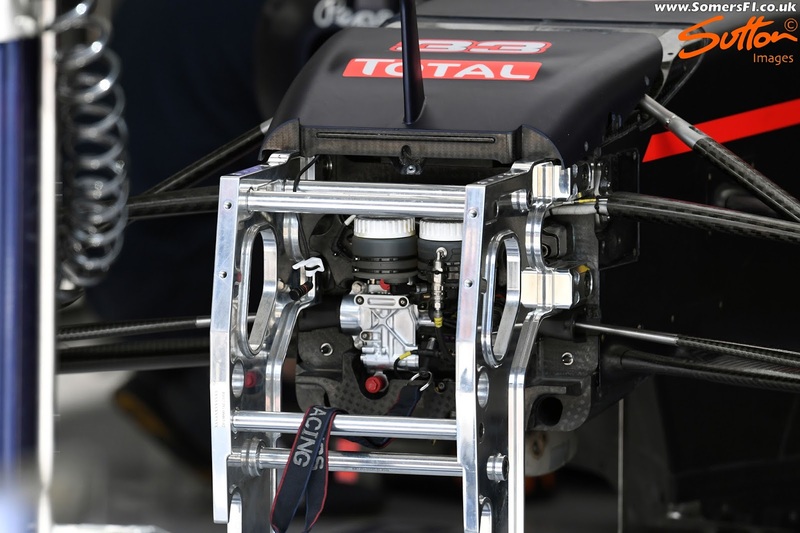 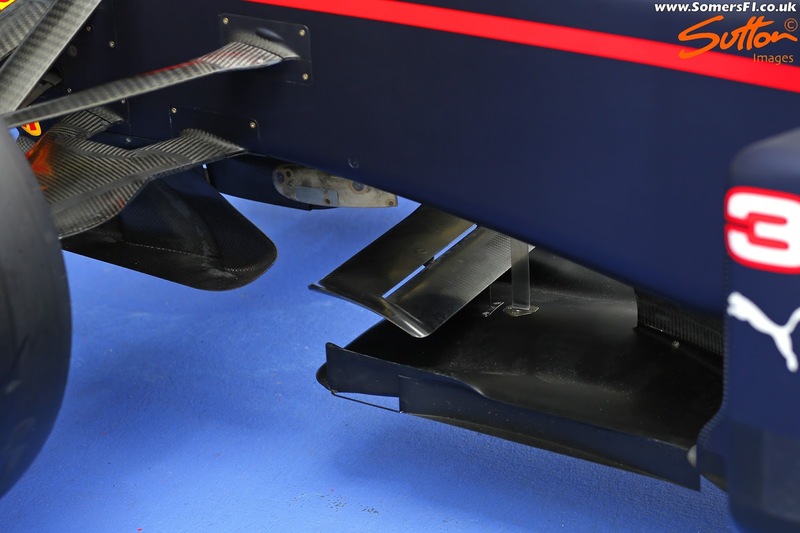 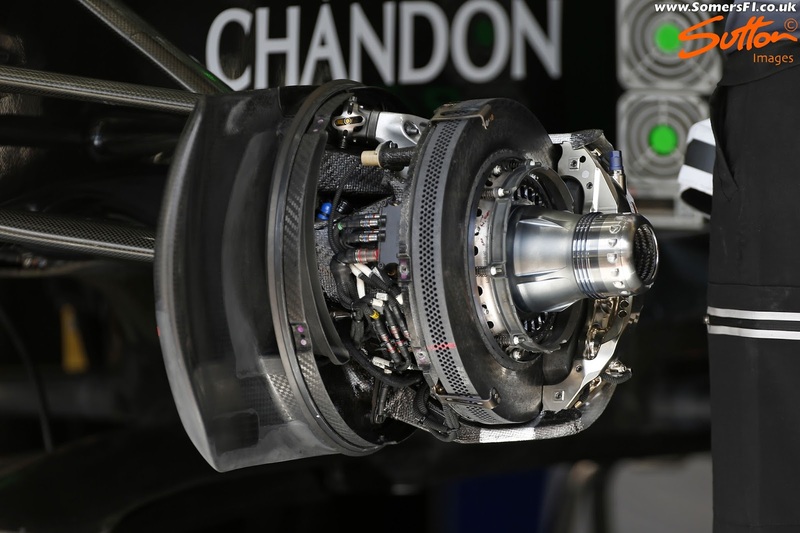 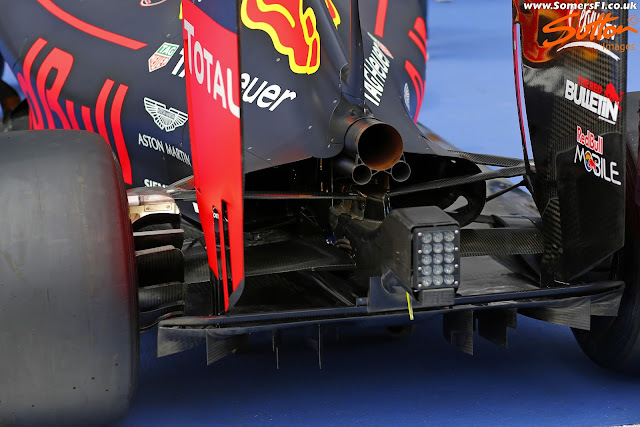 It's a very well thought out pattern though I wonder if easing the pressure gradients in the lower part of the opening hurts diffuser performance? 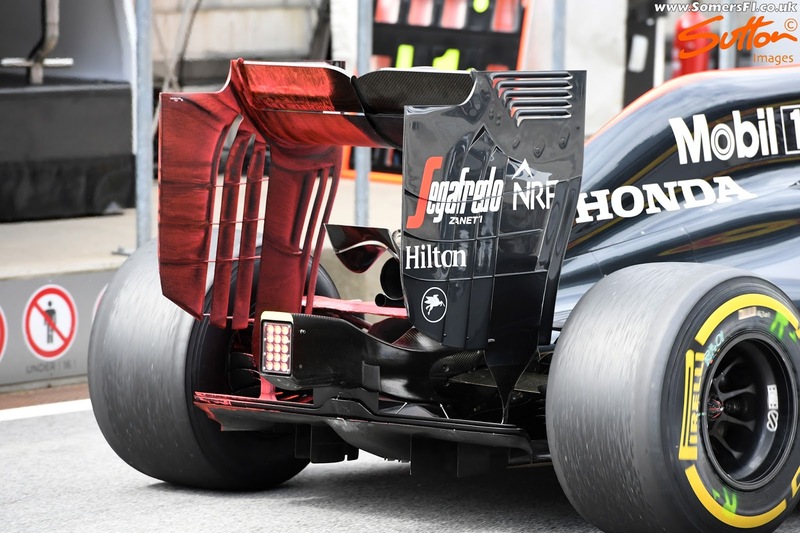 Epic new rear wing on the McLaren.